There's a downside in this for us.....we have to go out buy this all over again as the DVD copies just won't do any longer. If you haven't seen these...come on already. This is requisite viewing for the film geeks in all of us, and makes the Hollywood fare from the 50's seem quaint. All three, Musashi Miyamoto, Duel at Ichijoji Temple, and Duel at Ganryu Island have been digitally restored beyond what was originally imagined for them. 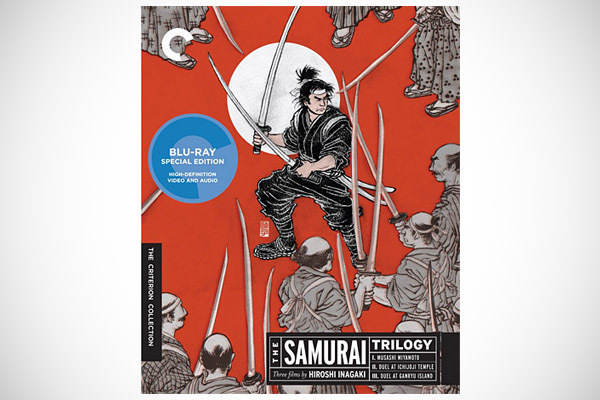 These are the best way to get acquainted with the genre, and then you can graduate to the epics in Seven Samurai and Ran, but don't forget The Hidden Fortress, Yojimbo, and Sanjuro. Available at fine media retailers everywhere.